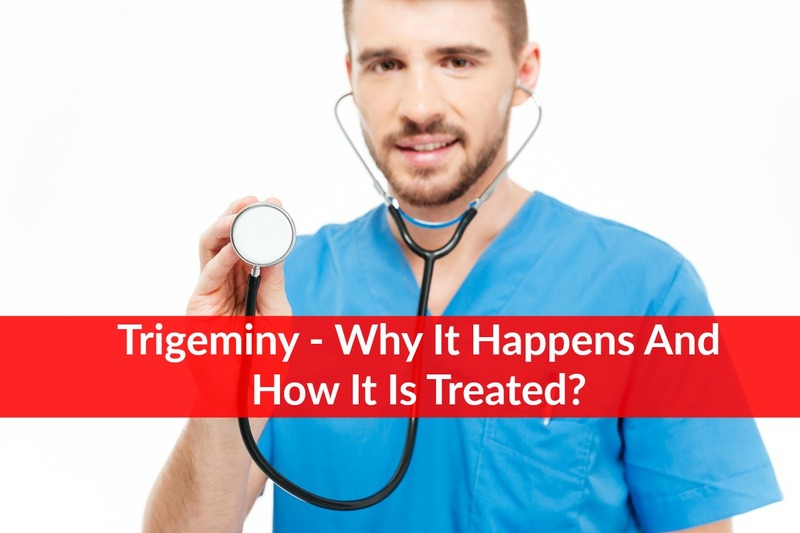 Home » Blog » Trigeminy – Why It Happens And How It Is Treated? Trigeminy is a type of heart arrhythmia. The word trigeminy means “occurring in threes.” The word arrhythmia means “irregular heartbeat.” Different types of heart arrhythmias are diagnosed based on their irregular beat patterns. When the beat pattern occurs in regular groups of three, trigeminy is one likely cause. If you or someone you love has been diagnosed with this condition, or if your doctor suspects that this is what is causing your heart arrhythmia, this article will help you understand more about this condition, its major symptoms, how it is diagnosed and treated. So every third beat happens slightly earlier than it should. This health issue can arise in different areas within the heart: the atria, the ventricles or the sinus node. This is important because a diagnosis of trigeminy can also mean that the first two beats happen from within one location inside the heart, and the third beat happens from a different location from within the heart. Sometimes this can create a heart palpitation, but often the person won’t even be aware of having PVCs. PVCs on their own are not generally considered to be dangerous, especially since they can arise for any number of reasons, including temporary stress or too much caffeine. Some people have regular occurrences of PVCs at random intervals for various reasons and never have any need to seek treatment. In this case, the trigeminy is not generally the main cause of concern. However, if a person with this condition begins to experience other heart issues or heart disease, or is prone to any of the causes listed here, then the presence of trigeminy becomes more concerning. Trigeminy can arise for a number of different reasons, some of which are temporary and minor and some of which are longstanding. » Overuse of stimulants: caffeine, nicotine, prescription or street drugs, especially cocaine. » Overuse of herbal stimulants or preparations (such as energy or weight loss products). » Abuse of diuretics (water pills). » Heart muscle is compromised, such as by infection or inflammation. » There is a genetic predisposition to heart arrhythmias. » Changes to electrolyte levels, especially potassium and magnesium, in the body. » Another underlying heart condition such as cardiomyopathy (thickening of the heart muscle), mitral valve prolapse (a leaky heart valve) or coronary artery disease (plaque build-up inside the arteries). Symptoms of trigeminy can vary depending on two factors: the underlying cause(s) and whether other health conditions may be present, such as inflammation, infection or stress. » Feeling of the heart palpitating, “jumping” or “fluttering” in the chest cavity. » Feeling of chest pain. » Dizziness, faintness or even fainting. » Shortness of breath or feeling of inability to take a full breath. » A sense that the heart is working harder than it should. It is very important to remember that sometimes trigeminy remains asymptomatic, which means there is no awareness that anything is amiss with the heart. In these cases, often it is the presence of an underlying health or heart condition that prompts your doctor to order an electrocardiogram (EKG), and this test picks up the presence of this health disorder. As with many health symptoms, the diagnostic phase often begins with a visit to the family doctor. Your doctor will want to know your symptoms, how long they have been occurring and whether they are mild or more severe. If you are experiencing unusually high-stress levels or trouble sleeping well, these are important to mention as well. The doctor will take a personal and family medical history. Here, it is important if at all possible to reach out to family members to find out if any relatives have had heart conditions or heart arrhythmias. This may indicate there is a familial or genetic link to trigeminy. From here, the next step will be a physical exam. The doctor will focus on listening to your heart and your breathing. If your trigeminy is frequent the doctor may be able to hear the premature third beat by listening with a stethoscope. If the physical exam warrants it, your doctor can then order a number of different tests to rule out certain underlying medical conditions and achieve a definitive diagnosis. Your doctor will probably order a CBC (complete blood count and blood chemistry) test as well to look for imbalances in your minerals and electrolytes (particularly potassium and magnesium) which could be putting extra strain on the heart muscle. A thyroid test is another commonly ordered test to check if a possible thyroid imbalance could be contributing to this condition. If your trigeminy is less regular or less easily detectable, or if the other tests are inconclusive, your doctor might ask you to wear a device called a Holter monitor that works similar to an ultrasound device. The monitor can be worn for just 24 hours or for a longer period of time. The device is non-invasive and can be worn at home. It continually collects data about your heart beat for later analysis. A heart ultrasound is another test your doctor may order. This test can help your doctor see any abnormalities or changes to your heart, such as an enlarged or inflamed heart muscle. Still another possible test that might be ordered is an exercise stress test. You may run on a treadmill or ride a stationary bike while your doctor monitors your heart activity. This test will determine if vigorous activity worsens your heart arrhythmia. After your doctor gathers sufficient data from the various tests, a definitive diagnosis of trigeminy can be made and you can move on to the treatment stage. The diagnosis will also reflect whether trigeminy is occurring on its own or as a result of another underlying medical condition. 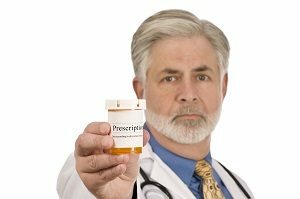 Whether or not your doctor prescribes treatment for your trigeminy depends on two factors: whether your trigeminy is considered medically dangerous (not all cases of trigeminy are) and whether any other health conditions are present that may be contributing to your trigeminy. For instance, if testing shows that you have a thyroid imbalance, treatment will likely focus on restoring regular function to your thyroid rather than treating the trigeminy directly. The same holds true if testing shows your electrolyte levels are imbalanced or if your trigeminy gets worse after vigorous physical activity. In some cases, a pacemaker may help. Lifestyle modifications can also be effective at reducing the severity of this condition, including learning stress management skills. Trigeminy on its own is not necessarily considered a serious medical issue. However, trigeminy that impacts your quality of life or stems from an underlying serious medical issue will likely require treatment. If you are experiencing heart arrhythmia and think you may have trigeminy, don’t wait. » Keep a symptoms log to note when you feel your symptoms and what symptoms you have. 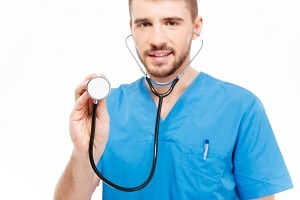 » Make a diagnostic appointment with your doctor. » Talk to your relatives to see if others have a heart arrhythmia. » Have the necessary diagnostic tests done. » Follow your doctor’s treatment instructions. » Make any recommended lifestyle modifications to reduce your risk.